This is the same company that wants to build a water park at Squaw Valley (yes- as in giant indoor water slides and amusements). If you love Deer Valley the way it is, be very afraid…. If you new owners don’t grasp the essential worry, then you’re going to have a major problem and revolt. Leave the Seafood Buffet alone. We’ve been coming here for 20+ years and like it the way it is. If you wish to change things, don’t. You’ll lose a huge long- time base of great customers. This is not the typical teen resort you can toy with. You’ll see if you do so. You’ve read this hundreds of times since you bought DV. Believe it. Please do not allow snow boarders. Deer Valley has its own unique clientele of skiers who love the high quality customer service, small ski school classes and attention to detail in grooming. Park City has been ruined by becoming a conglomerate appealing to the masses with mediocre customer service, long lift lines and snowboarders everywhere. Please don’t ruin Deer Valley by making it just another conglomerate too. It is wonderful to ski without snowboarders running over the backs of your skis, knocking you down, cutting you off, need I go on? They are ruder-bakers! Snowboarders have plenty of other resorts to go to. Do not mess with DV or Alta. If snowboarders want to ski the famous and most prestigious DV and Alta, then learn to ski. Calling it “The Company” and the canned non-commital replies already seem unlike the Deer Valley we all know and love. It would be great to let skiers know why this is good for them and not how big The Company is. Our family has been loyal DV skiers for 10+ years and hope it remains the unique ski experience that makes so many of us loyal customers. Congrats on the deal and best of luck! Please keep the same experience I have been enjoying over the last 15 years….. great food, capped tix sales and no SBoards…. Please keep DV standard of excellence in customer service, grooming and dining. It’s uniquness needs to be maintained. No Snow Boarders PLEASE! I have worked at 3 companies who were bought by bigger ones and every time the new management said that they would not change anything. Within 6 months to a year we had a new CEO/President and processes and procedures were changed at each company. I think KSL Capital Partners, LLC and Henry Crown and Company will be unable to resist tinkering with the winning formula that DV had for the 15+ years that we have been skiing there. We are taking a wait and see attitude for the 2018-2019 season. Since Deer Valley is a family resort, members of many families are snow boarders, I would reconsider this policy to be more inclusive. Will our season pass now operate like the Epic Pass does, and be honored the other 13 resorts? Hi Jack, As passes for the 2017/18 ski season are already being sold, no immediate changes to pass products are planned. Lemme snowboard DV. It’s time. I’ve been skiing at DV for 25+ years, I know the terrain extremely well, and can’t wait to put down a single, wide track. The tears of the board-bigoted DV crowd will likely fly from their cheeks and crystalize in the air, adding *even more* snow flakes to your already impressive yearly bases. I’m so excited! I have been skiing Deer Valley for many years and consider it some of the best skiing I’ve ever encountered. I started when I was 3-years old and am now 64 and have seen a lot of different ski areas in my days. Started skiing at Steamboat in 1968 when there was only 2 lifts and my family of 5 could ski all day for the paltry sum of $17.50 total. I’ve seen several mergers over the years with Steamboat and to say the least each one is worse than the previous and so many things have changed and many not for the good. This sport has become a rich mans sport and the older I get the more I want to see and experience perfect snow with NO SHREDDERS!!! So word to the wise, leave well enough alone as you have a perfect business model that has worked for years with an extremely loyal following. 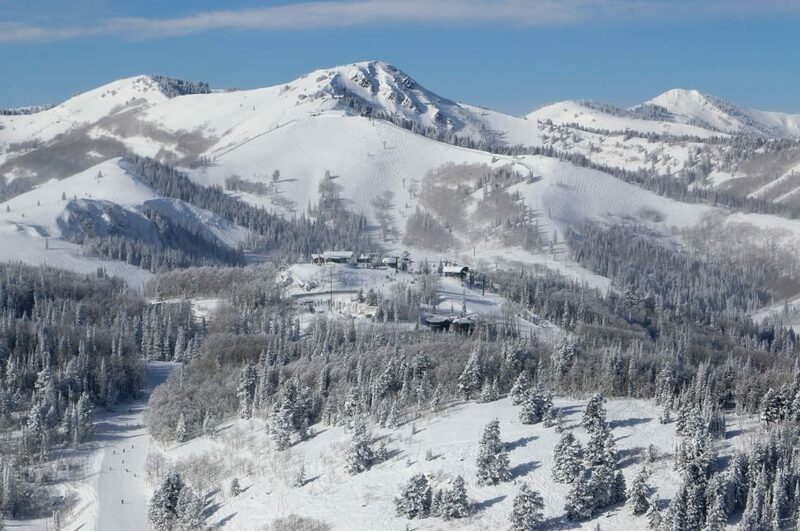 Deer Valley has been touted as the best ski area in the country for several years for a reason…..Remember that!! I’m a skier in my 60’s and have never boarded a single day in my life. I ski primarily on aggressive terrain with skiers and boarders, both and have come across some exceptionally fine boarders along the way, both in terms of skill and etiquette. Of equal importance, I’ve come across some particularly terrible skiers and their numbers are on the rise. I’ve skied at Deer Valley for years and speaking from direct experience, DV has more than its fair share of seriously bad skiers, again in terms of both skill and etiquette. Really. My wife got taken out by an out of control skier in March of last year and is only just recovering and there are plenty more out there, waiting to run you down too – at all mountain resorts. For those of you blogging who, by your own admission, have been skiing Deer Valley exclusively for even a decade, your perspectives are outdated. People change. Technology changes. As a skier, I thank snowboarders every day for their contributions to what has become stunning ski technology; think of those crappy, skinny skis and compare them to what has happened to skis in just the past half-dozen years. Snowboarding was new 20 years ago and there was certainly a learning curve, just as there was for skiing. I’m never going to be a boarder, but I’m fine sharing space with them. I can’t say the same for some of my fellow skiers. I have been skiing Deer Valley/ Park City for 27 seasons and last season I did not ski Park City for the first time ever. I only skied Deer Valley. Guess why. Hopefully you will figure it out. 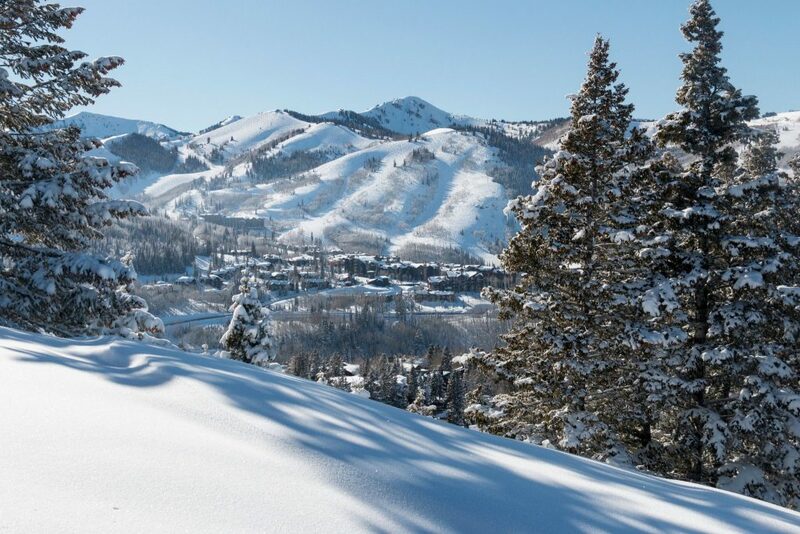 There is a reason that Deer Valley has been rated the best ski resort in North America by many publications. Don’t mess with success! And Jim M., if you want to snowboard there are plenty of places in Utah that you can do that. As a very long time DV skier, and also a seasonal employee, I look forward to many more days of your great snow, friendly faces (behind those goggles and helmets) and interesting staff from so many other walks of life. (Each has a story to tell). 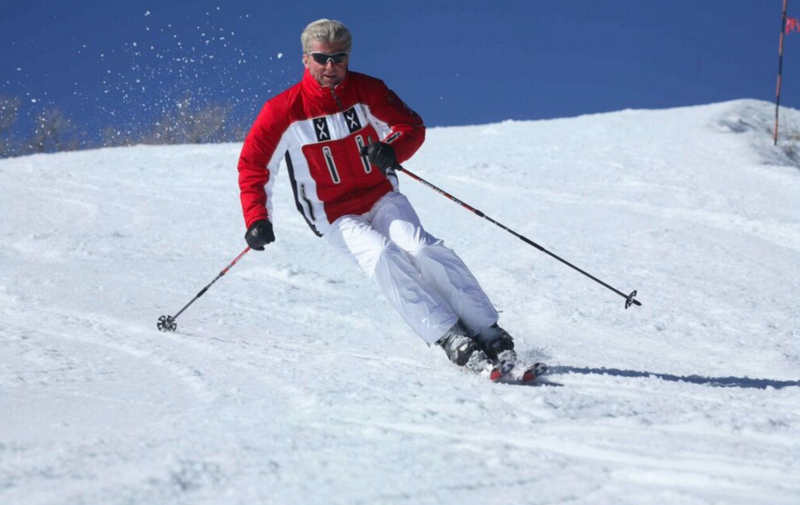 After over 57 years of skiing all over, watching the ski industry evolve, I must comment that our young skiers are vital. Their presence is what will be keeping the lifts running in coming years, even if it is a single board rather than two that they prefer. A suggestion: teach them to ski instead — a special one-time rate on a lesson and equipment for snowboarders. Please keep Deer Valley as it is. We own a home here and have been loyal patrons for over 10 years. We continue to come here for a reason….best snow grooming, capped ticket sales, no snowboarders and top notch service. Private Equity investors need an exit which is a function of EBITDA growth. To compete with Vail (NYSE:MTN) concomitant cost reduction and revenue growth will need to be squeezed out of these properties. Make no mistake about it. 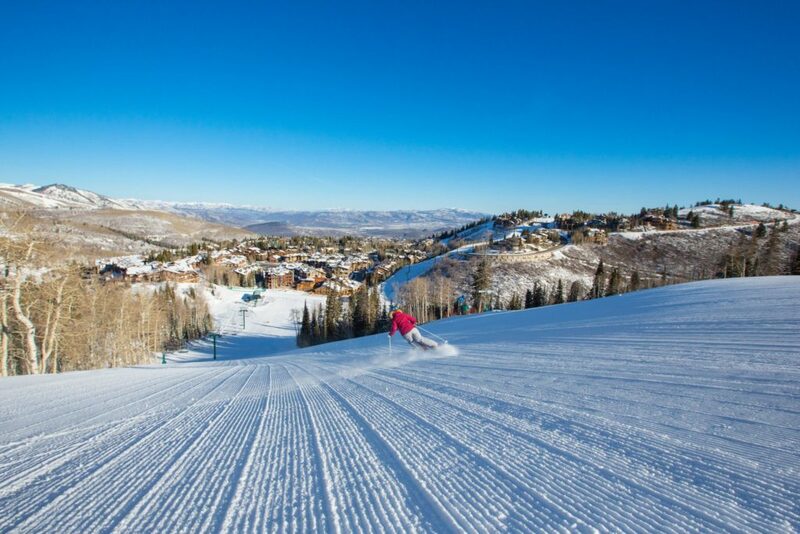 For Deer Valley, hard to imagine that season passes can be increased much higher so that leaves property, plant and maintenance reductions, management reductions (Wheaton et al) and more skiers per day. It’s just business. Very sad day for those of us that cherish Deer Valley. For those that prefer snowboarding….buy the Epic Pass. Keep DV snowboarder free! Deer Valley part of the new Ikon Pass. So much for no new changes. That didn’t take long. New 18-19 season pass announced today, more $ and not one Ikon privilege. Would of been nice if “The Company” could have offered a real Mountain Collective pass to compensate “Us” for the new Ikon crowd we can expect next season. Looks like the DV season pass holders are the only ones getting the short end of the stick. We have passed your comments on to both Deer Valley and Alterra Mountain Company’s Executive teams. Have a great day. I have seen allot of M&A in my business in the last 30 years. Without exception the buyer screwed up the aquired business very quickly. In general they have to find a way to pay for their debt so they quickly begin to cut operating cost and services-the very things that made the aquired business unique. I expect things like marketing and finance will be now done in Denver. The big question will be around snow boarders. This should be simple and I hope “no snow boarders” will remain their policy.